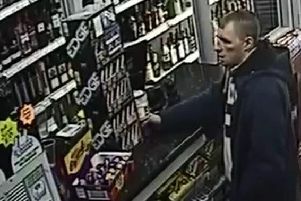 Police are asking for help in tracing a man following a burglary in Rotherham. Mark Dench, age 22, is wanted in connection with the burglary at a house in the Dalton area of Rotherham in June, in which power tools were taken from the property. Dench is around 5ft 10ins tall, with a fair complexion and short brown hair. He is known to frequent Rotherham. Have you seen this man? Do you know where he is? Anyone with information to his whereabouts should call South Yorkshire Police on 101 and ask for DC 2558 Godfrey in Rotherham CID.